This cane has a T shaped wooden handle. It is adjustable in height and can be folded. 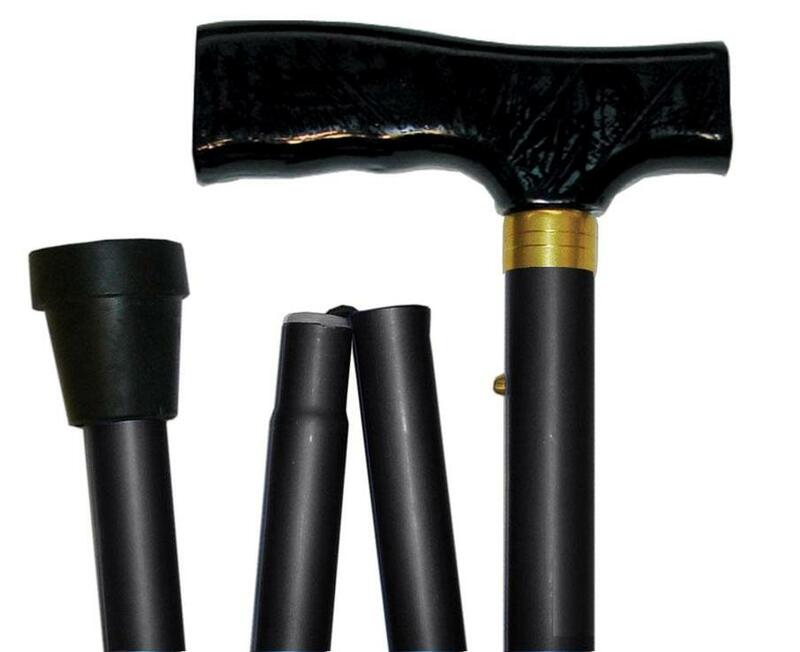 Due to the simple fold mechanism the cane can be easily carried on person or put away. The cane can be adjusted from 81 to 91 cm. The maximum weight it can sustain is 120 kilo.